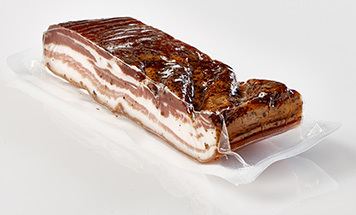 One of the biggest challenges in food packaging is the preservation of meat and seafood products. 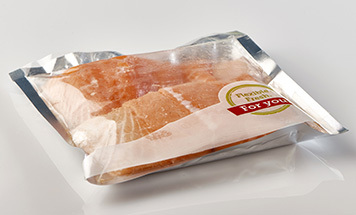 With five decades of industry experience, we’ve mastered how to manufacture top-of-the-line flexible packaging solutions for virtually every type of fresh and processed meat, poultry, and seafood. Sliced turkey? Hot dogs? Bacon? We make a film that fits. We’ve developed a powerfully formable packaging solution allowing for exceptionally glossy appearance, offering UV protection. Your meat will be on the menu for breakfast, lunch or dinner. 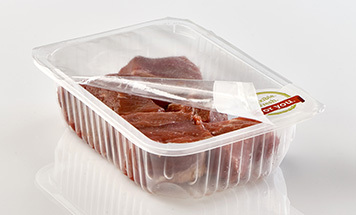 We provide complete packaging solutions so your fresh or precooked poultry can go right into the oven at home without passing through hands in the distribution chain. 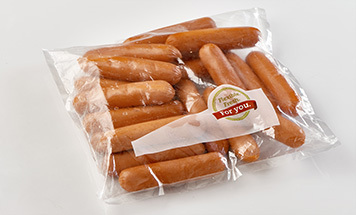 Printable and safe, our films protect the food from risk of contamination. It’s no small feat to create a prime cut of beef or a moist and tasty smoked fish. Likewise, it’s an accomplishment we’re proud of that we’ve manufactured a range of high performance flexible packaging solutions, many of which are recyclable.